Jon Slack of Amphora Arts — which also runs the South Asian Literature Festival — organized the new event. LONDON: Like one of those giant waves you see in surf films, the Australia & New Zealand Festival of Literature & Arts (ANZFLA) is rising and rising, ready to peak in May next year when it will come sweeping into London in a great, long overdue celebration of ANZ writers, musicians, artists and film-makers and more. Credit must be given to Festival Director Jon Slack of Amphora Arts and his team for building the swell as they have — for having the vision and securing the support already in place. 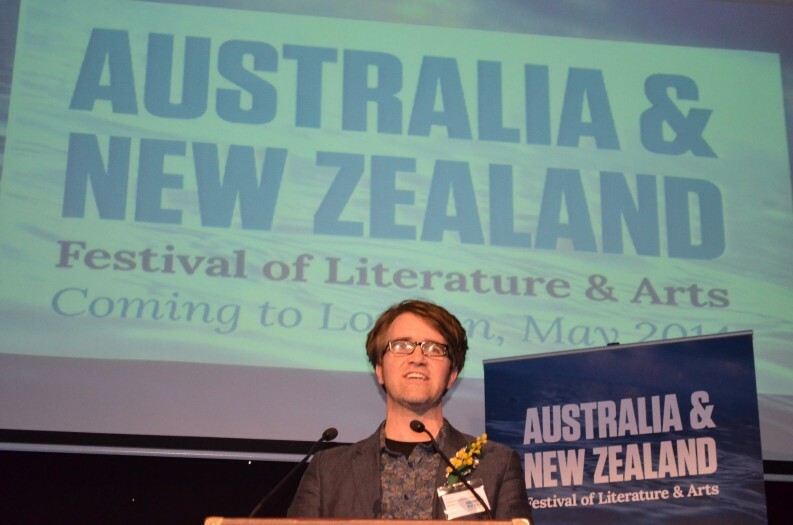 The Festival had its official launch on Monday night with a grand, well-attended and imaginative event at the Australian High Commission in London. If anyone was in any doubt about the cross-industry support for this new venture, they only had to glance across the crowded room. From publishing there was Bloomsbury CEO Nigel Newton and his Sales and Marketing Director Kathleen Farrar, Two Roads (Hodder) Publisher Lisa Highton, Faber Sales and Marketing Director Will Atkinson, and agents Caroline Michel of PFD and Ed Wilson of Johnson and Alcock. London-based ANZ authors included John Pilger, Kathy Lette and Peter Walker, whose novel Some Here Among Us has just been acquired by Bloomsbury. HarperCollins’ Scott Pack was also there with debut Kiwi novelist Janina Matthewson. 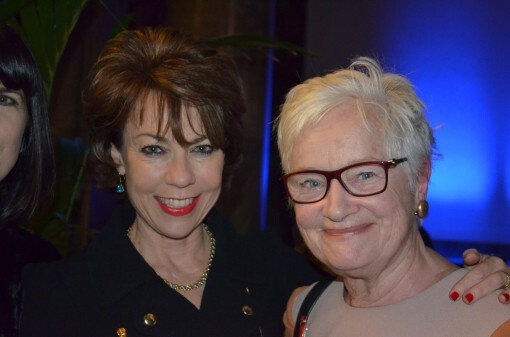 Other guests included publishing doyenne Liz Calder – former Editorial Director of Cape, co-founder of Bloomsbury and founding director of the long running FLIP festival in Brazil – along with Bill Samuels of Foyles, both of whom have been appointed ANZFLA trustees. A theme of ‘voyage’ was the decorative motif for the room, as in a sea journey both to and from the Antipodes. The Australian High Commission itself is a glorious building, redolent of the great days of ocean travel when emigrants from the UK were offered bargain tickets to being a new life on the other side of the world — the so-called ‘ten pound Poms.’ So there was a beautifully laid-out ‘Captain’s table,’ with a globe and an atlas and a telescope – and displays of ‘books for the voyage,’ these being works from seven of the ANZ writers who will be taking part in the festival. 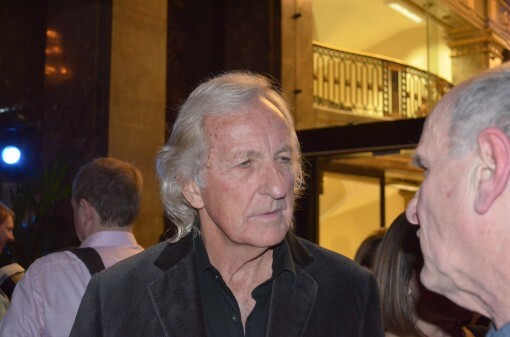 Author John Pilger will be among the featured writers at the festival. All guests received a ‘boarding pass’ on coming into the party, allowing them to choose one title for their own ‘voyage’ home that evening: a very good idea that proved extremely popular. The evening also saw a production of Namatjira, a retelling of the life of the Aboriginal artist Albert Namatijira, by the Australian social arts and justice theatrical company, Big h’Art. He said that more than 30 writers and artists have been confirmed, including Clive James, CK Stead, Evie Wyld, Fay Weldon, Fleur Adcock, Stella Duffy and Tony Wheeler (founder of Lonely Planet), in addition to Pilger and Lette. The award-winning author Tim Winton will open the festival on May 29, 2014 and the Academy Award winning screenwriter, producer and director Jane Campion will be a Patron. The festival will take place at King’s College, London and run until June 1. News UK, part of News Corp, publisher of the Times and Sunday Times, is the official media partner. ANZFLA is being supported by the Australian Government through the Australia Council for the Arts for the next three years, and by New Zealand’s arts funding body Creative New Zealand. The Australia Council provided seed funding to scope and develop the project, and will continue to be integral alongside Creative New Zealand to the Festival’s ongoing development.